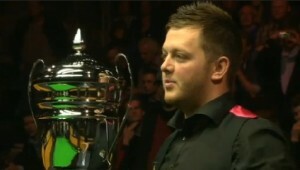 One of the most exciting players on the tour to watch at present, Mark Allen has climbed up into the top 16 in no time and having consolidated his position there by reaching the semi-finals of the 2009 World Championship will now be looking to turn that undoubted potential into silverware. An excellent long-potter, Allen plays an aggressive, confident game that reflects his personality around the table. He is certainly a big occasion player as evidenced by his runs to the semi-finals of each of the three ‘major’ tournaments during which he has defeated the likes of Ronnie O’Sullivan, John Higgins and Ding Junhui. Probably his most memorable performance for me however remains that during his début match at the Crucible against Ken Doherty back in 2007. In winning 10-7 his performance was most impressive for a player of his age as he looked and played like he had been performing there for all his life. He exuded a confidence around the table that certainly left me feeling that I had seen the start of something special and it will be interesting to see whether he can deliver the silverware to match his talents. An excellent amateur, Mark won a number of major tournaments including the Northern Ireland and European Championship in 2004, as well as the World Amateur Championship and World U-19 titles in 2005. Following these successes he joined the main tour for the 2005/6 season and immediately began to find his feet, reaching the last 32 stage at two ranking events, as well as winning three matches to reach the final qualifying round for the 2006 World Championship. Despite losing the last six frames of that match to lose 10-7 to Andy Hicks, Allen had done enough to retain his place on the main tour, moving to 62 in the rankings. Further progress was to be made during the 2006/7 season as he was able to win his opening match in each of the seven ranking events staged, notably qualifying for the World Championship for the first time with a convincing 10-4 win over Robert Milkins in the final qualifying round. Paired with 1997 champion Ken Doherty for his Crucible début, Allen looked nerveless as he imposed his authority on the game from the start, eventually winning the match 10-7. Although he lost to Matthew Stevens in the next round, Mark had done enough to move into the top 32 in just his second season and was well positioned to do even better in 2007/8. 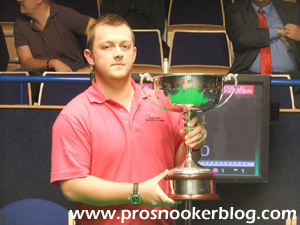 Mark continued to shine during the 2007/8 season as at the 2007 Northern Ireland Trophy he thrilled the home crowd by making it to the semi-finals of a ranking event for the first time. Defeating Graeme Dott, Ryan Day and Gerard Greene on the way, his run was eventually ended with a 6-3 defeat to Fergal O’Brien. Another highlight was a comprehensive victory over his snooker hero Stephen Hendry in the last 32 of the UK Championship, though after an impressive start to his next match with Mark Williams, his run was not to go any further. Ultimately however the season was to end on a disappointing note for Mark as he let slip leads of 6-3 and 9-7 to lose to Hendry in the first round of the 2008 World Championship. Although Allen was the better player for much of the match, Hendry won some key frames, notably the opening frame of the second session having needed two snookers before Allen struggled to close out the win. Thankfully for Mark however, despite having thought immediately after the defeat that the result would cost him a place inside the top 16 of the rankings for the first time the following season, other results were to go his way and he just snuck in at number 16 exactly. As often can be the case when a young player first graduates to the top 16, Mark’s first season there was to be a mixed one as while he was to reach both a quarter-final and a semi-final early on, he then went on to lose four opening round matches. 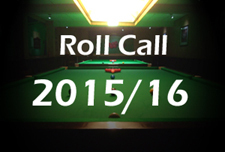 Though on paper some of his results were below par however, many of his conquerors subsequently ran deep in the tournaments, for example Joe Swail who reached his first ranking event final in Wales having seen off Mark in the last 32, or Stuart Pettman who reached his first semi-final in China. One of his most impressive performances came in the invitational Masters event when he breezed past Welshman Ryan Day with an emphatic 6-1 win to move into the quarter-finals where he lost out to Mark Selby in a high-quality match. 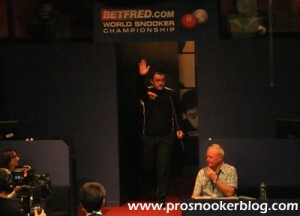 His best performance however was to come at the 2009 World Championship where he was to go even further, not only reaching the semi-final stage at the Crucible for the first time in his career, but in the last 16 pulling off the biggest win of his career by knocking out defending champion and world number one Ronnie O’Sullivan 13-11. Having continued his run with the defeat of Ryan Day in the last eight it looked like Mark might have suffered a hammering himself at the hands of John Higgins as he fell 13-3 behind after the first two sessions. In the end though he put up a brilliant fight and showed that as well as being a talented player, he has guts and a tremendous level of self-belief which at one point allowed him to reduce his arrears to just three frames at the end. Full of confidence following his successful Crucible campaign, he started the next season in the best possible way by capturing his first professional title, the 2009 Jiangsu Classic. He looked to be in trouble after day one as two defeats from three left him needing some help to qualify for the semi-finals, but as Ding Junhui defeated Ryan Day 2-0 that is exactly what he got and he was able to go through at the expense of the Welshman. From there he never really looked back and with a 5-2 victory over Shaun Murphy and then a fabulous 6-0 victory over defending champion Ding in the final, he had captured the title. His ranking event season however again saw him struggle for consistency with a run to the quarter-finals of the Grand being sandwiched between last 32 defeats in both the Shanghai Masters and UK Championship to round off 2009. 2010 however was more impressive, quarter-finals in the Welsh Open and the World Championship either side of an excellent run to the semi-finals of the China Open seeing his ranking climb one place to number 10. In particular his World Championship matches against Tom Ford and Mark Davis were a joy to watch, the highlight being the first ever break of 146 at the Crucible which came against Davis and earned a well deserved ovation from the crowd. Unfortunately for him however, Mark was eventually stopped by Graeme Dott in the next round, losing 13-12 having at one staged led 12-10. Mark experienced a low key start to the 2010/11 season as he opted to miss some of the new PTC events while also losing his opening matches in both the Shanghai Masters and World Open tournaments to Stuart Bingham and James McBain respectively. Improvement was to come however at the UK Championship in Telford where he progressed to the semi-finals with victories against Tom Ford, Ding Junhui and Bingham before running up against eventual winner John Higgins and finding himself on the wrong end of a 9-5 scoreline. Nevertheless, he carried this form forward to the Masters event at Wembley where he recorded a notable opening round win against four-time champion Ronnie O’Sullivan before defeating reigning world champion Neil Robertson to make another major semi-final. Leading 4-1 in that match against Marco Fu it appeared as though Mark was finally set to break his losing streak at the last four of events but instead he was to be denied by a fabulous display from Marco who won the match 6-4. From there however, Mark’s form was to dip alarmingly, losses to Joe Swail, Ding Junhui and Marcus Campbell meaning that he would head to the Crucible needing to win his opening match against Matthew Stevens in order to remain inside the top 16. “I suppose, if I look back on certain things in my career, this has been coming for a long time. But more recently I’ve really felt more down than I ever have. With little expected of him at the Crucible, Mark’s lack of practice looked to be telling as he fell 9-6 behind in the second session and later admitted that on the break-off in frame 16 he had been sorely tempted to just smash the pack, only changing his mind on the final backswing. From here however the match began to change, a majestic break of 103 pulling one back before he stole a dramatic 17th frame on the black to reduce the gap to just 9-8. He added the next before former partner Reanne Evans brought Mark’s daughter Lauren down to the front row to watch an error-strewn decider which Allen would eventually take to win 10-9. This was a huge result for Mark, not only in the context of his top 16 place but also in terms of giving himself a real boost psychologically following a tough few months on and off the table. He followed it up with another dramatic victory, 13-12 against Barry Hawkins in the quarter-finals before eventually coming up short against Welshman Mark Williams. Mark began his 2011/12 campaign with a run to the quarter-finals in Australia where after victories against Ryan Day and Marcus Campbell he would meet Stuart Bingham in what would become a real grudge match, the players exchanging a war of words both before and after the match. 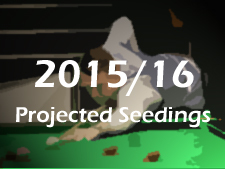 As it happened, it would be Bingham who would claim a 5-3 win en route to his first ranking event title. Sold, if not spectacular performances were to follow during the PTC tournaments either side of a last 16 defeat to Shaun Murphy in the Shanghai Masters, before a run to the semi-finals of PTC8 towards the end of October perhaps marked a return to form. His best run during the first half of the season was to come in York however at the UK Championship when he finally ended his semi-final hoodoo with victories against Adrian Gunnell, Ali Carter, Marco Fu and then Ricky Walden to reach his first major-final. There he was to face Judd Trump who despite leading 8-3 at one stage, was made to sweat as Mark hit breaks of 141, 139, 129, 125 and 95 before coming through a 10-8 winner. Despite losing the match however it was a fine performance from Allen who was perhaps inspired further by the reaction to comments that he made to the press following his opening match against Adrian Gunnell when he criticised the way that the sport was being run by Barry Hearn. His wait for silverware was not to go on much longer however as in March 2012, Mark was to capture the 2012 Haikou World Open, with a comprehensive 10-1 victory in the final. Earlier in the tournament he had won a deceptively close match with fellow On Q Promotions player Jimmy Robertson, before also defeating Judd Trump and Mark Selby en route to the final, both in deciding frames. Mark was however to court further controversy in Hainan with comments made about the venue on Twitter which would subsequently earn him a £1,000 fine, before at the World Championship in April he again made the headlines for his comments following a surprising 10-6 reverse at the hands of qualifier Cao Yupeng, for which he subsequently apologised. Following a steady start to the 2012/13 season, Mark found his form at the ET3 event in Antwerp, where he defeated the likes of Graeme Dott and Peter Ebdon en route to his first final of the season. There he would meet Mark Selby, who himself had impressed during the tournament, but could do nothing against Allen as the Northern Irishman hit breaks of 117, 102 and 106 on his way to a resounding 4-0 victory to lift the title. 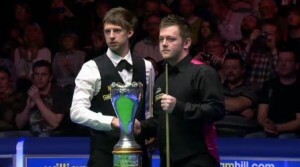 Mark also reached the quarter-finals of the International Championship, before losing a thriller to eventual tournament winner Judd Trump, while he failed to progress beyond the group stage of the Premier League, in which he was making his début in 2012. More silverware was to come during the second half of the season, as Mark was able to successfully defend the Haikou World Open title that he had won 12 months previously on Hainan Island. Defeating Ryan Day, Ricky Walden and Robert Milkins in the early rounds, he then saw off Scotland’s John Higgins in the semi-finals, before recording a 10-4 victory against Matthew Stevens in the final. Mark threatened to continue his winning streak as he whitewashed Mark Davis and Joe Swail at the subsequent PTC Grand Finals, before losing a high-quality match to China’s Ding Junhui at the last eight stage, Ding making a 147 at one stage. His season was however to end on a low note, as he crashed out of the World Championship at the last 32 stage to the experienced Mark King. Though Mark was to make a relatively slow start to the 2013/14 season in terms of his results in the full-ranking events, he was to enjoy a strong run in the campaign’s European Tour events before Christmas. Following a quarter-final run in Doncaster at ET3, where he was to lose out narrowly to eventual winner Ricky Walden, with his titles in Germany and Gloucester, he became the first player ever to win back to back European Tour titles. 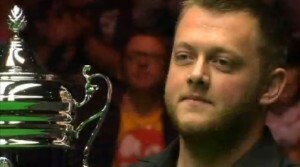 Having defeated the likes of Ding Junhui, Judd Trump, Mark Williams, Neil Robertson and Graeme Dott along the way, Mark was hoping to take that form into the season’s major events and enjoyed a strong run to the quarter-finals of the UK Championship in York, before again losing out to Ricky Walden. Following the turn of the year, Mark’s strongest run was to come again at the Haikou World Open, where as two-time defending champion he defeated the likes of Walden, Mark Williams and John Higgins to reach the semi-finals. 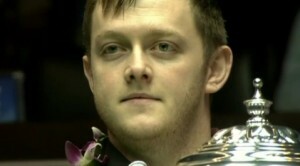 Although his winning run on Hainan Island was to be brought to an end by eventual champion Shaun Murphy, who came through a 6-4 winner on the black, that result, combined with a quarter-final run at the Players Championship Grand Finals in Preston, was enough to see him secure a top 16 seeding for the World Championship at the end of the season. Following successive opening round defeats at the Crucible since his quarter-final run in 2011, Mark was able to overcome a bout of food poisoning to record a 10-4 victory against Michael Holt and set up a last 16 match with world number one Neil Robertson. Allen would push the Australian hard, but it would be Robertson who would come through a 13-7 winner and book his place in the quarter-finals. Shortly after the tournament, it was announced that Allen would part company from management group On Q Promotions. 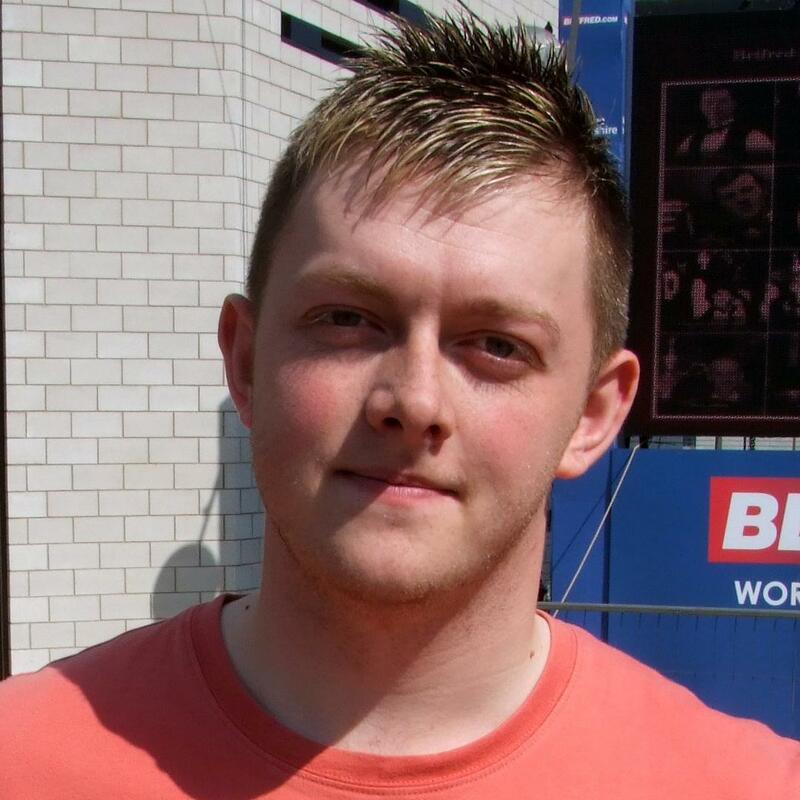 The 2014/15 season was to prove bittersweet for Mark as he reached the final of no fewer than four events, but won just one of them at the Paul Hunter Classic in August. His victory there against Judd Trump came weeks after he had lost out to Mark Selby in the final of the Riga Open, before he went on to battle his way to the finals of both the Shanghai Masters and International Championship events, losing to Stuart Bingham and Ricky Walden respectively. He continued his strong form to reach the semi-finals of the Masters in January, but from there he won just a further six matches during the season, losing 13-11 to Barry Hawkins at the Crucible as he ended the season ranked 12th.